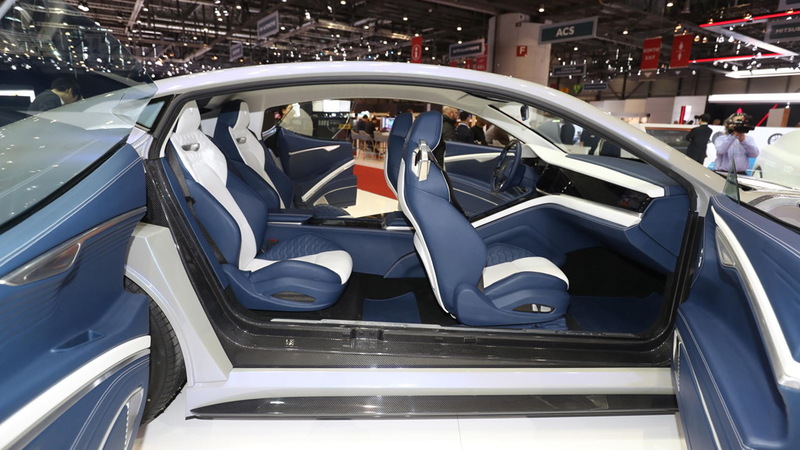 A new Chinese company has come out with ambitious plans to launch a family of electric cars, but unlike others this one has teamed up with an established design firm to work on its products. 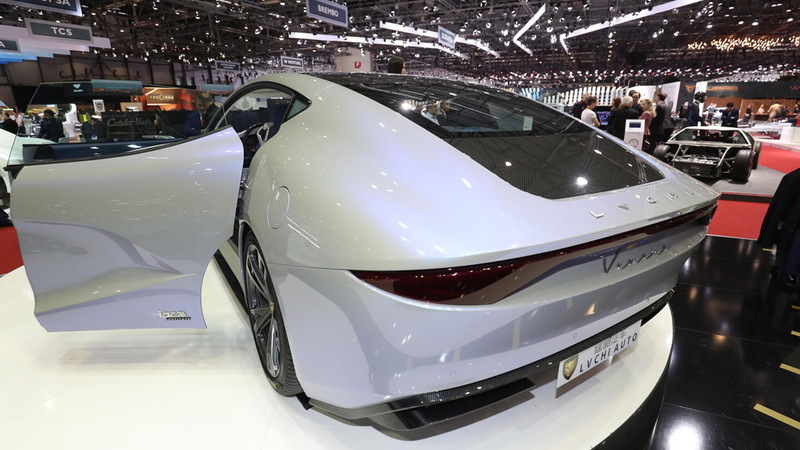 The company is called LVCHI, and on Tuesday it unveiled the Venere concept at the 2018 Geneva International Motor Show. The concept is an electric sedan with 1,000 horsepower and 1,135 pound-feet of torque. 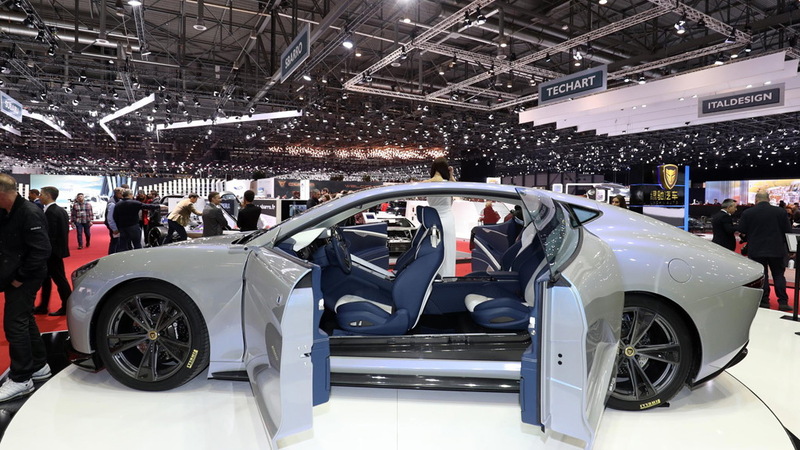 It was designed by Italy's I.DE.A Institute, the same design firm that unveiled the stunning Sofia concept at 2010's Geneva show, and it's unique as far as sedans go because it features a carbon fiber monocoque structure much like you'd find in a supercar. Attached front and rear are aluminum subframes which house the suspension and electric motors, in this case two at each axle. Powering the electric motors is a 100-kilowatt-hour lithium-ion battery. Performance claims include a 0-62 mph time of 2.7 seconds, a top speed of 177 mph, and a range of 400 miles. The curb weight is a hefty 4,630 pounds. Inside the Venere, there's a modern design consisting of multiple digital screens, including on the steering wheel. Almost all vehicle functions are controlled via the screens, most of which are touch sensitive. LVCHI is no small player. Based in Shanghai, the company is fully funded and already has 400 employees, most of them working in the R&D department. The plan is start limited production of the Venere in Turin, Italy in 2019. It's not clear yet what markets it will be offered in, though. And beyond the Venere, LVCHI plans a handful of additional electric cars ranging from city cars to luxury sedans to family-oriented SUVs and minivans. 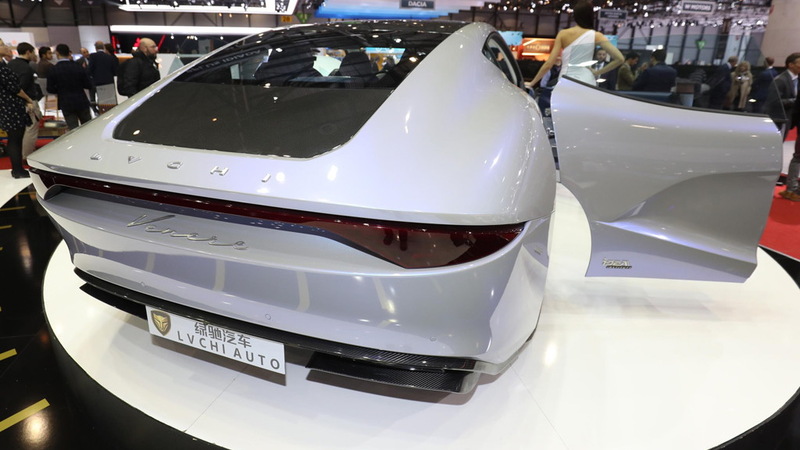 One of them will be a production version of the Urano, another sedan concept, that LVCHI presented in Shanghai earlier this year.